Hi! My name is Jennifer Turner! I reside in Buford, GA with my husband and two children. I love all things Disney and all the magic it brings! I will always remember my first trip to Disney when I was 6 years old with my grandparents. They took me on so many rides (It’s A Small World is still my favorite), saw so many characters (feel in love with Mickey immediately) and watched the most magical parade, the Main Street Electrical Parade. As a child, Disney was just more than rides & characters, it was the magic that created so many wonderful memories! Even though I was 6 years old, it is one vacation I have & will always remember, it’s because of the MAGIC! In 2015, I planned our first family Vacation to celebrate my daughter’s 5th Birthday at Disney. I could not wait to experience Disney through the eyes of my children and see the magic come alive for them, as it did for me as a child. I will always remember that first moment walking into Magic Kingdom for the first time with my family and having our magical moment! It was truly breathtaking to see my children in the Happiest Place on Earth with so much magic in their eyes! Through every Disney vacation, the magic continues to grow even more. My children always talk about their first trip to Disney and all those magical moments they experienced! Since our first trip as a family in November 2015, we have taken other Disney vacations staying at different resorts, experiencing different character dining meals, riding an assortment of rides, visiting different aspects of Disney parks and creating more magical memories! Not only does Disney create magic through their rides, character visits, parades, dining experiences but also through their special events. We have attend Mickey’s Very Merry Christmas Party and Mickey’s Not-So-Scary Halloween Party, both were truly amazing, magical and fun! 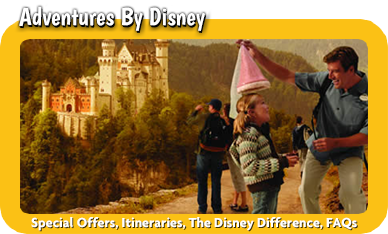 As a MickeyTravels Travel Agent, all of our services are FREE! Everyone has a different itinerary and budget for their Disney vacation and I will make sure we work together to create the most magical vacation. I will be there to help you through every step of the way; finding you the best price within your budget, booking your dining & fast passes, giving tips & tricks, putting together your detailed itinerary but most of all listening to your Disney needs & wants! I will turn your Disney Plan into a Magical Experience that you will always remember! 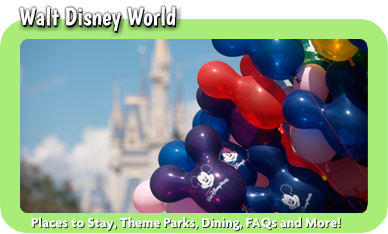 If you are looking for one-on-one & personalized service to help plan your magical Disney Vacation, please contact me today at ……… I look forward to working with you to create your magical Disney Vacation! Jennifer was an absolute pleasure to work with. She really knows her stuff and we now refer to her as our Fairy Godmother. Thanks for all the help! Before we planned this vacation, the only thing I knew about Disney, was that I knew nothing! The kids were looking forward to going so much and I was completely overwhelmed. That’s when I reached out to Jennifer. Things took a complete 180 and the planning went perfectly. Every question I had was answered quickly and enthusiastically. I recommend contacting Jennifer about your next Disney vacation regardless of how much or little you think you know. She was incredible! Hi Jennifer! I’m so excited to book our next trip. Probably Spring Break next year! We had such a fun time and can’t wait to go again! Thanks for everything you did in making this our best vacation EVER! 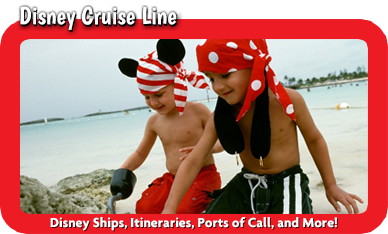 A big thank you to Jennifer for planning our first family Disney Cruise! It could not have been a better experience and we will definitely be in touch next year! You're an exceptional planner and your attention to detail was so appreciated!! Thank you!! Jennifer is AMAZING!! When we decided to book our first family trip to Disney. I was so overwhelmed. And then Jennifer reached out to me and saved my sanity. Jennifer went above and beyond!! And believe me I kept her busy. I changed my mind on hotels, and dinner reservations several times and she adjusted everything for me no questions asked. I’m so thankful that Jennifer took over and planned everything for me right down to my fast passes for all. 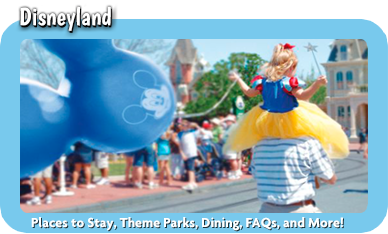 Reservations for dinner and even recommendations on where to eat at the parks. She sent me a very detailed itinerary of each day at the parks. Even what time to catch the buses. Also times of shows and the best place to sit to watch parades. She checked in on us during our vacation and once we were home to make sure we made it safely and enjoyed ourselves. Absolutely Love her. Excited to start planning another trip with her in the near future!Thank you Jennifer for making our family’s dream come true. Jennifer helped us plan a great Disney vacation! She was available day and night and answered all my questions. She gave a lot of recommendations which were very helpful. She also assisted while we were at the parks and some of our plans just weren’t going to work out. I highly recommend Jennifer!!! I will be referring her to everyone I know. Jennifer was so amazing in helping us plan our FIRST trip to Disney. We had the most amazing week ever and I couldn't have done it with out her!! Everything she planed out for us worked so perfectly. From having fastpasses set up for rides right next to each other so we could just go from one to the next to having dining reservation at chef Mickey's at the perfect time so we could watch the whole fireworks show from the Contemporary resort was amazing!! I could have not done without her. Being a first timer Disney can be very overwhming in the planning process but Jennifer made it so easy and everything went so smoothly. The daily schedules were a life saver. Each day I saved it as my lock screen on my phone and it made it so convenient for us!! Thank you, Jennifer for helping my family have the most magical week ever!! Jennifer did an amazing job helping us plan our first Disney vacation!! She helped us along every step of the process, answering my many questions, making great recommendations and tips (things we never would have known on our own) and helped us maximize our money and time there...and most importantly create a magical experience for our family!! 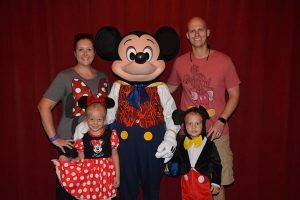 Being as it was my first trip alone at Walt Disney World I was a little nervous , but Jennifer made every step easy, stress-free and as magical as can be from beginning to end . She was extremely dedicated to making sure my trip was perfect , and it was ! I am most definitely booking my next Disney adventures with her. She made sure to get me the best offers and multiple choices of packages for me to choose from to fit every need I may of had. She answered to every single questions I had for her on every step of the way. 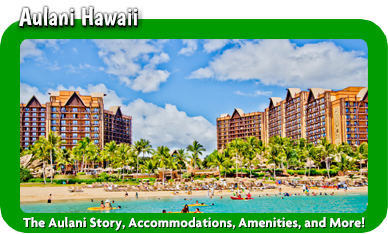 I am greatly impressed and satisfied with Jennifer's service and I would and will recommend her to any Disney traveler.